How Satellites Can Help Us Understand Global Poverty – Open Data Aha! Citizen surveys are the most comprehensive means available to track poverty, but they aren’t perfect. They cost money, take time, and can’t guarantee accurate responses. Surveys might also not be feasible in many of the poorest pockets of the world where they’re most needed, if these areas are too remote or dangerous; a recent World Bank analysis found that 29 countries had no poverty data at all from 2002 to 2011. In the ongoing quest to plug in these data holes and improve our understanding of global poverty, highly detailed satellite images might be a very useful new tool. To that end, the World Bank recently partnered with two geospatial mapping companies and a geography professor at George Washington University on a pilot research project that aims to extract potentially useful economic information from photos taken in space. A satellite whizzing around Earth will take pictures of a remote village in Sri Lanka as often or as well as it will capture New York City, explains James Crawford, CEO and founder of Orbital Insight, one of companies partnering with World Bank. “It doesn’t discriminate in any way,” he says. 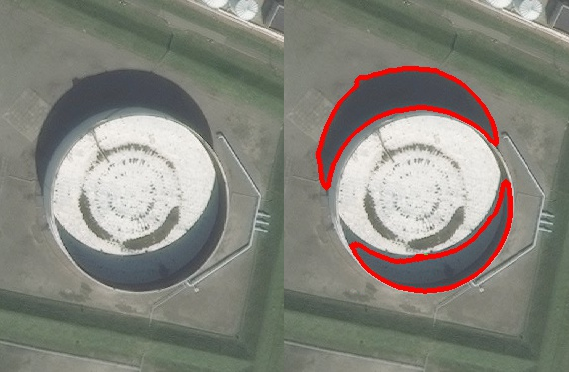 Orbital Insight trains computers to pick up and analyze subtle visual clues from the highly detailed satellite images. In the past, the company has helped the World Resources Institute track and even preempt deforestation. For the World Bank pilot in Sri Lanka, it’s measuring possible indicators of economic development: counting cars, estimating building heights, and gauging agricultural productivity in regions around the country. The satellite image analysis is capable of measuring super small details that nevertheless inform a greater understanding of local wealth or poverty. Wider roads could be signs of a richer region. Jagged, irregular building edges might house poorer residents. Stronger building materials should suggest a more developed region. The project is still very much a work in progress, Newhouse says. World Bank analysts are digging into some of the completed measurements, trying to understand how well the picture of poverty created by these indicators matches up to the one assembled from survey data. If successful, this data could provide an important augmentation to census data in determining which areas are developing more slowly and whether localized interventions are effective.